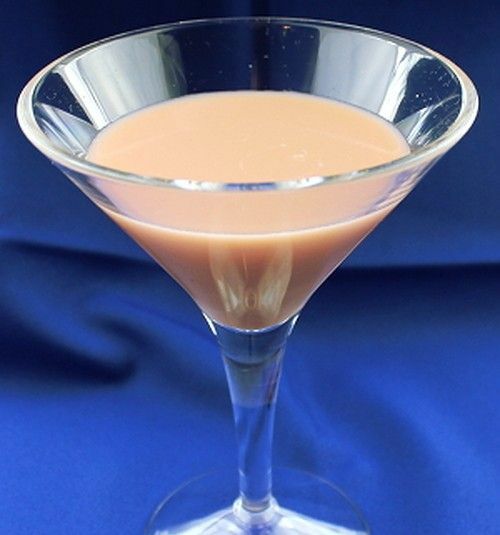 The Liaison cocktail is a rather unusual combination – cognac and triple sec meet coconut milk. The result is spectacularly smooth. The coconut milk smooths even a cheap cognac while the healthy dose of bitters keep the flavors intact. You’ll taste the oak, citrus and pear notes along with the mellowness of the slightly sweet coconut milk. It’s a drink that’s more rich than sweet, and it’s full of flavor. This one is great for sipping. Fill a cocktail shaker halfway with ice. Add in the ingredients and shake until chilled. Strain the mixture into a martini glass.